Our spring Season has been posted. Our fall 2019 Schedule will be announced in june 2019. 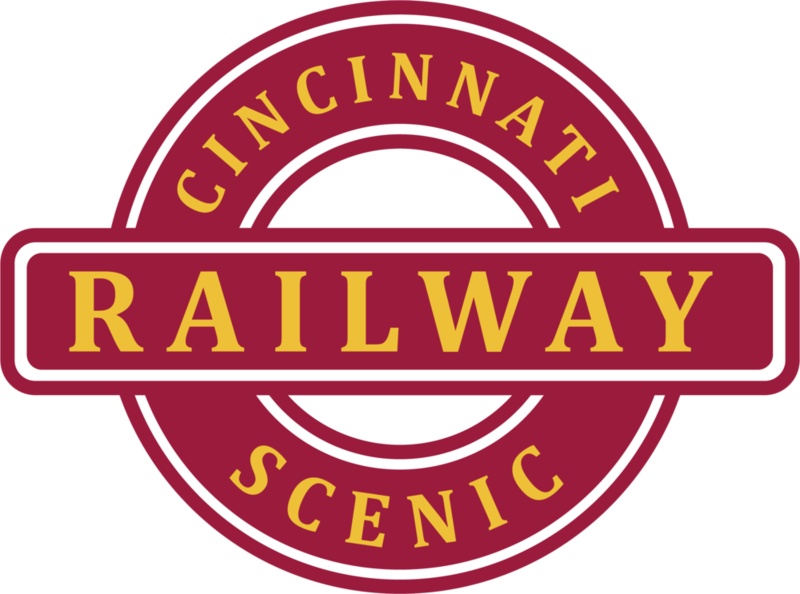 The Ohio Rail Experience is a part of Cincinnati Scenic Railway. CSR is a 501c3 nonprofit organization and the operator of the Lebanon Mason Monroe Railroad in Lebanon, OH. ORE excursions are operated in partnership with local historical societies, the Lebanon Mason Monroe Railroad, and the Cincinnati Railway Company. These trips are a unique opportunity to experience the golden age of rail right in your backyard and feature a casual family friendly atmosphere. ORE trains will travel on railroad tracks that do not regularly host passenger trains. Some lines ORE will traverse have not seen a passenger train in over 40 years. Passengers will ride in vintage railcars pulled by a historic diesel electric locomotive. 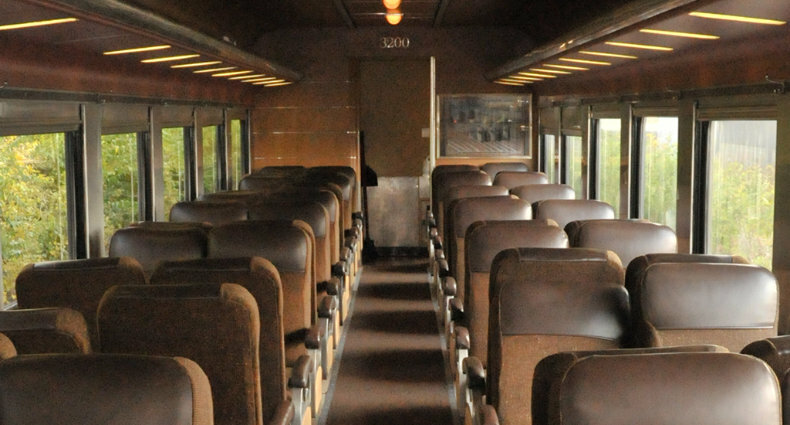 ORE trains will feature open window coaches from the 1930s. Climate controlled deluxe coaches from the 1940s and 50s will also be offered at a higher fare. Passengers can enjoy the breeze from one of our two open air baggage cars. A small selection of food and drink, including alcoholic beverages, will be available in our tavern car. ORE aims to offer a new and exciting tour schedule every year. Many trips will not be repeated annually. If an excursion catches your eye, we highly recommend climbing aboard. Ohio Rail Experience trains travel through some of Ohio's best small towns, cities, and neighborhoods. Washington Court House, Lima, Springfield, and Urbana are all stops on our 2019 tour. They all feature one of a kind local shops and restaurants. Going to the Labor Day Weekend Fireworks in Cincinnati? Ride with us and avoid the hassles of parking during the event. This year the Fireworks train will operate as a part of the Ohio Rail Experience. Coach passengers will be seated in our 1930s restored Lackawanna coach cars. Our Lackawanna coach cars feature traditional railroad “walk-over” style seating. This allows families or groups of 4 to face each other. Coach seats are reserved. Our Lackawanna coach cars are heated and feature open windows. Fans circulate air on warmer days. Car 664 is a long distance coach car. The car features comfortable reclining chairs, and large picture windows. Seats in deluxe class are reserved. The 664 is fully restored to its original appearance as a Southern Railway long distance coach. The 664 car is heated and air conditioned. This car is equipped with restrooms. Deluxe Coach class seating will be inside the Milwaukee Road 3200 car. This long distance coach car was featured in the 2015 movie "Carol." The 3200 seats 60 passenger. The car features comfortable reclining chairs, and large picture windows. The 3200 car is heated. Our open air bar car was initially built as a coal-fired kitchen car by the St. Louis Car Company in 1953 for the United States Army. It carried the U.S. Army number 89687, and was painted standard olive drab. Today it is equipped with a bar offering snacks and drinks. The baggage doors slide open on warmer days to take in the breeze. Please do not include confidential or sensitive information in your message. If relevant, please include your order confirmation number. Thank you! Our excursions are operated by highly skilled professionals and your safety is our highest priority. The Ohio Rail Experience requires passengers to exercise sound judgment when on railroad property and obey all crew member instructions. The Ohio Rail Experience (ORE) and its operating partners are not responsible for uneven footing on property owned by third party organizations or created by situations beyond our control. Please watch your footing while loading and unloading from the train. Passengers will have to ascend/descend up to ten (10) steps in order to ride a typical ORE excursion train. ORE will provide step boxes and trained employees to assist will boarding/deboarding. However, passengers assume all liability and risk associated with boarding/deboarding the train. Do not purchase tickets to ride an ORE excursion if you are unable to safely climb up to ten (10) stairs or walk extended distances up to five hundred (500) ft.
All Ohio Rail Experience trains are low priority movements on a busy regional freight railroad. Schedules are developed in good faith with our operating partners. However, due to circumstances beyond or within our control, trains can run late. Passengers will not receive refunds for late trains. Some Ohio Rail Experience excursions include a layover at a destination point. ORE is not responsible for passengers missing trains, including on any return trip. If a passenger misses a return train, they are responsible for securing their own alternate form of transportation. The Ohio Rail Experience reserves the right to change equipment or cancel an event/train ride at any time for any reason it deems necessary. All trains run rain or shine. Cancellations due to weather will only be made by the Ohio Rail Experience in extreme circumstances. Ticketing is handled through a partnership with the Lebanon Mason Monroe Railroad (LM&M Railroad) and WhistleTix. Prices are subject to change without notification. All tickets purchased are subject to additional fees. Ohio Rail Experience passengers are subject to all LM&M Railroad agreements and policies. Please note: The LM&M Railroad strictly enforces a no refund policy. ***Please Note*** Due to the historic nature of the railroad equipment, Ohio Rail Experience trains are not handicapped accessible. Historic and antiquated rail passenger equipment, like that used on this excursion, are exempt from ADA regulations under U.S. Code: Title 42: Section 12184. The passenger cars and boarding facilities used on these excursions were constructed before disability accessibility laws were adopted. Platforms, boarding areas, stairs, step-boxes, seating, and especially doorways, passageways, aisles, and onboard restrooms may not accommodate all passengers. We will make all reasonable efforts to accommodate differently abled passengers who desire to ride the train. Motorized wheelchairs and/or scooters cannot be accommodated onboard any of our trains at any time. The Ohio Rail Experience is not a common carrier railroad. Passengers are expected to read and understand our full policies, terms, and conditions.